Battery life doesn’t constitute a strong point for Windows phones. Gone are the days when your phone’s battery was able to power you for days on end. Modern phones feature big displays and run tens of apps at the same time, and all these elements literally drain battery life. Indeed, somehow this is the price we pay for using top-notch phones. 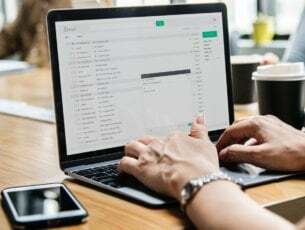 However, it appears that some phone models have serious difficulties in powering users through the day and could use a helping hand. 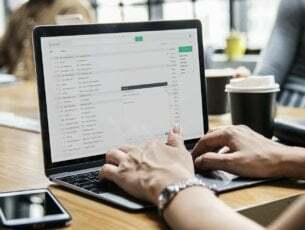 Unfortunately, the latest Windows phone models are notorious for their battery and overheating issues, and some of them have been plagued by these problems since the day Microsoft launched them. One solution to extend your phone’s battery life is to use one of these battery saving apps. In case you extensively use your Windows phone, you should also keep a portable charger within reach and use it when your phone’s battery reaches critical low levels. This portable charger connects to your Windows phone through an USB cable, extending its battery life. You can easily slip it into your pocket thanks to its tiny size: 4 x 1 x 1 inches. The charger’s case is made of soft touch plastic, and the built-in flash light could come in handy if case you go on a hiking trip. 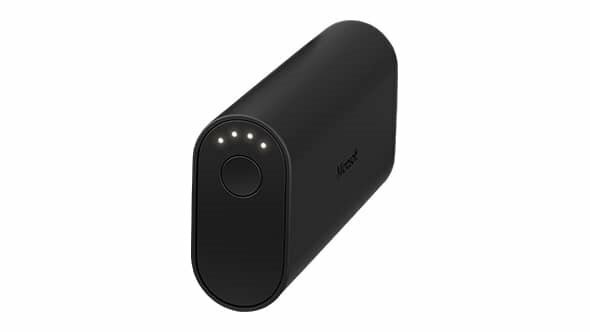 The Acuvar portable charger can power your phone for 4 to 6 hours. It’s compatible with the following Windows phones: Lumia 920, Lumia 820, 808 PureView, Lumia 900, Lumia 810, Lumia 822, Lumia 521 and 520. You can buy this portable charger from Amazon for only $7.99. This sleek, tiny charger can easily fit into your pocket and is powerful enough to get a full charge of your Windows phone. It brings huge power in a small package and can deliver 500 battery charge cycles without any problem. Three status LEDs keep you informed of the remaining battery capacity. The white plastic cap at the top and unique clip-inspired design prevents the charger from scratching and rolling off your desk. The charger is available in four colors: black, blue, gold, and pink. 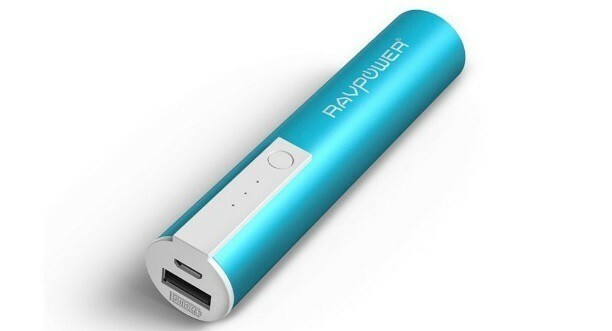 You can buy the RAVPower 3350mAh Portable Charger from Amazon for only $10.99. This lightweight portable charger has two USB ports, allowing you to power up two devices at the same time. Thanks to its 5200 mAh capacity, this charger can deliver two full charges in a very short time. The LED indicators inform you about the battery level and charging status. You can buy the DC-32 Portable Dual Charger for $35.00 from the Microsoft Store. DC-21 is a powerful portable charger that you can simply slip into your pocket. With a 6000 mAh capacity, it can charge most smartphones twice with one full charging cycle. Plug this micro USB charger in for about 4 hours to reach full capacity and you don’t have to worry your phone will run out of battery when you need it most. Microsoft Portable Power DC-21 impresses through its unique shape and smooth finish that gives it a premium feel. The soft LED lights tell you how much charging capacity you have left. 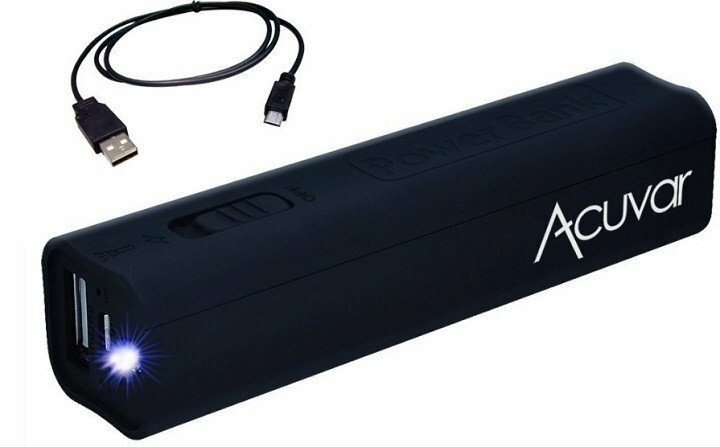 You can buy this portable Windows phone charger for $63.98 from Amazon. 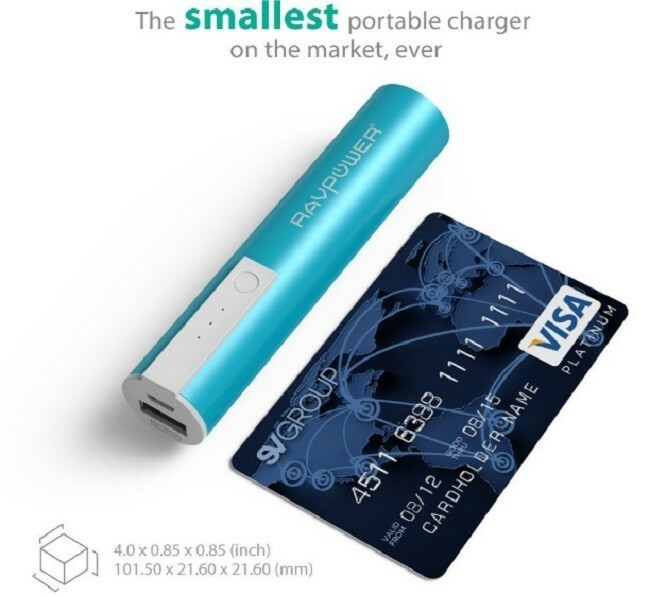 This tiny portable charger packs a full 6700mAh capacity, fits in the palm of your hand and can deliver two full charges to your Windows phone. It automatically detects and delivers the optimal charging current for any phone for fast and efficient charge. Its 4 status LEDs keep you informed of the remaining battery capacity. RAVPower is ultra reliable and can support over 500 battery charge cycles. With this device, you can charge your Lumia phone in less than three hours. Also, this charger will automatically shutdown if a short circuit or overload output is detected while charging. 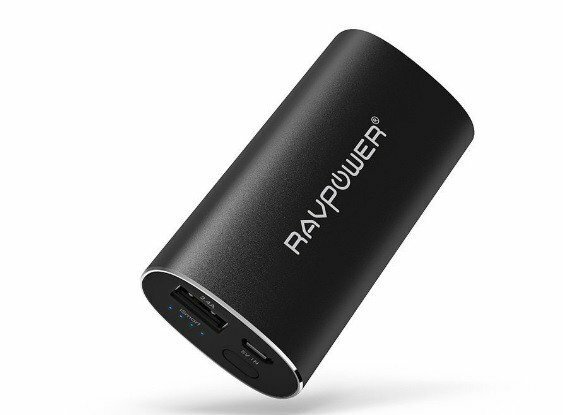 You can buy the RAVPower 6700mAh portable charger from Amazon for $35.00, down from $49.99. The charger is available in four colors: black, blue, pink and silver. This charger is a combination of Qi wireless charger and portable power bank with dual USB output. It is slim and compact, and you can easily carry it in your pocket. With a high capacity of 7000mAh, it will quickly revive your Windows phone battery. You can plug in the VicTec portable charger, and charge your phone while the device itself is still charging – this is how powerful this charger is. You can charge two Windows phones at the same time: one wirelessly, and one on the USB port. The charger supports the following Windows phones: Lumia 1520, 1020, 929, 928, 920, 830, and 820. You can buy the VicTec 7000mAh Portable Charger from Amazon for $24.99. This device is a heavy-duty charger than can power your Windows phone for several days. It supports two types of ports: standard USB and USB-C ports, convenient especially for Lumia 950 and Lumia 950 XL owners. Thanks to the dedicated quick charge ports, it can charge your Windows phone up to 75% faster. 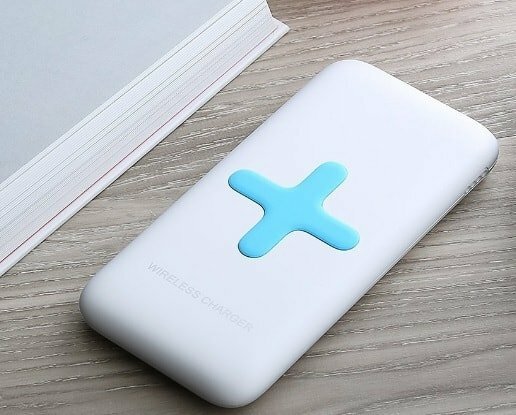 Some users complained that this charger is heavier than most chargers, but don’t expect this device to be light as a feather – after all, it packs a 10400mAh capacity that needs to be stored somewhere. You can buy the CHOETECH 10400mAH Portable Charger from Amazon for $31.99, down from $99.00. This portable charger is a real monster, it packs a 20000mAh capacity and yet can fit in the palm of your hand. You can always rely on this device to power your Windows phone, as it can charge it 8 times. If you’re planning to go on a trip in the middle of nowhere, you should also put the iMuto Portable Charger in your backpack. The smart digital screen displays the remaining power in digital format. 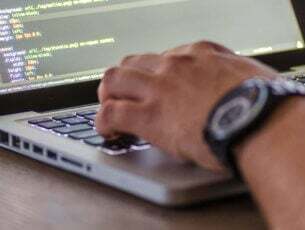 This feature is hidden by default until activated. Thanks to the built-in protection system, your devices are safe from over-charging, over-voltage, over-current, and short circuit. The charger also comes with a travel waterproof pouch. The device is compatible with the following Windows phones: Lumia 435, 635, 550, 640/640XL, 650/650, Lumia 735, 830, 950XL, and Lumia 1520. 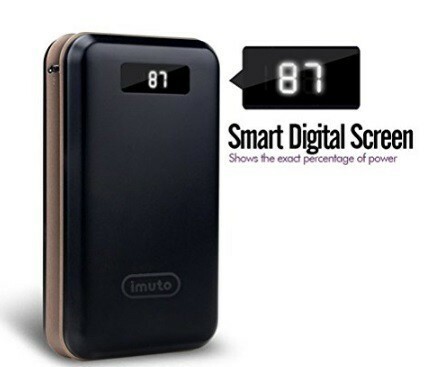 You can buy the iMuto 20000mAh Portable Charger from Amazon for only $29.99. 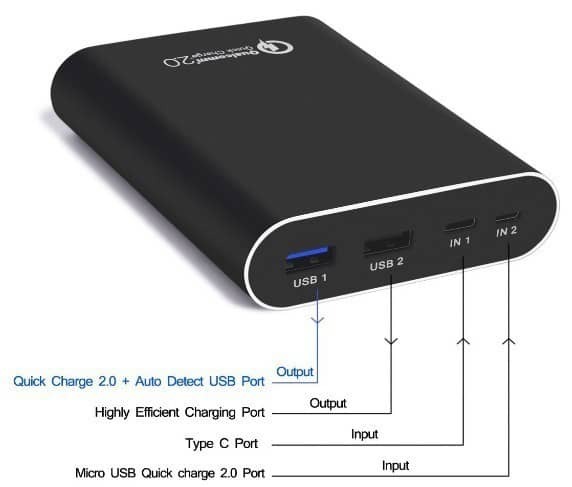 As you can see, we listed various portable chargers in this article. If you don’t plan to use the charger very often and you’re looking for a cheap device, we recommend you buy the RAVPower 3350mAh charger or the Acuvar 2600mAh charger. If you’re looking for a heavy-duty device that can charge your Windows phone several times, then you can buy the monster iMuto 20000mAh Portable Charger. 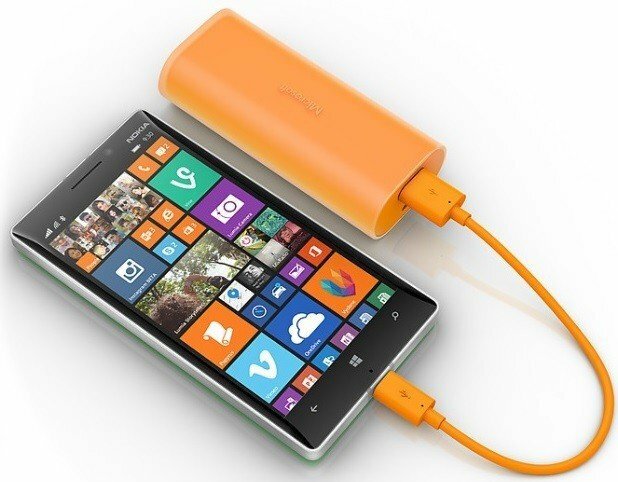 The perfect Windows phone portable charger is the one that best suits your needs.